The hair has been French braided and then enhanced with the help of glitter. The glitter here just highlights the gorgeous styling of the strands. It also works well with the wearer’s makeup and overall style. 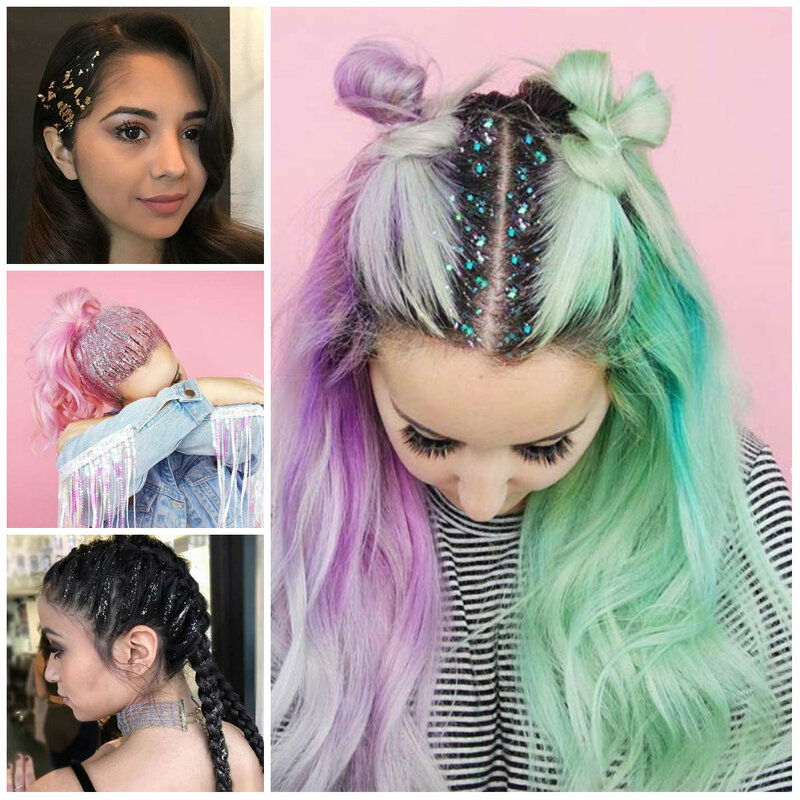 This style shows off how hair glitter can boost everything. It is always fun to play with a glitter and create a feminine and unique style. Gray highlights are totally in trend and look absolutely gorgeous on young women. The gray babylights work really well with black strands. Anyway apart from the color, the haircut is also amazing. 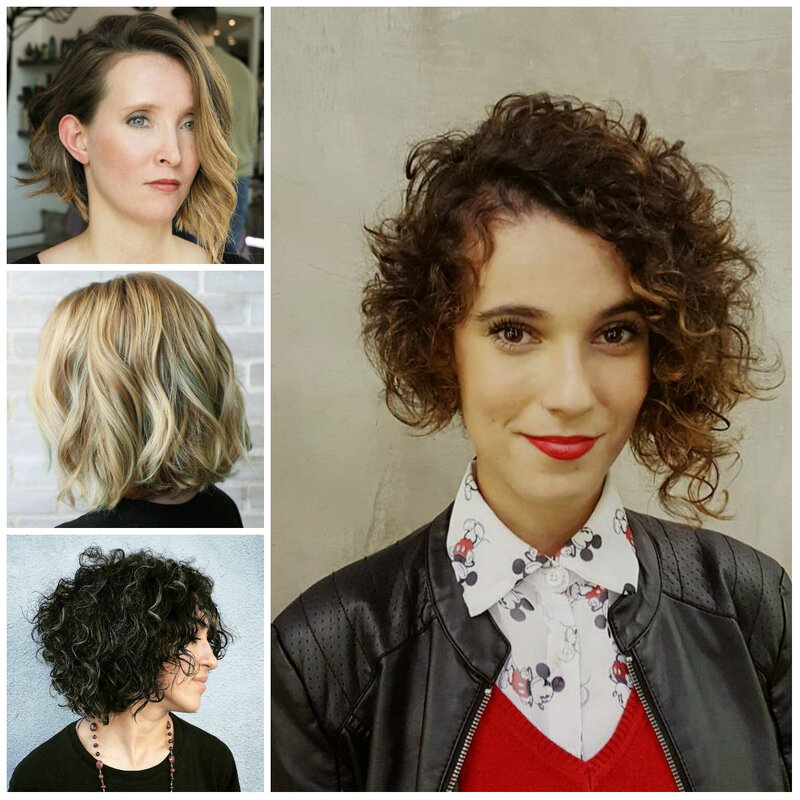 Short layered strands have been styled in ringlets to provide with some volume and body. Women with curls are really blessed at any age. 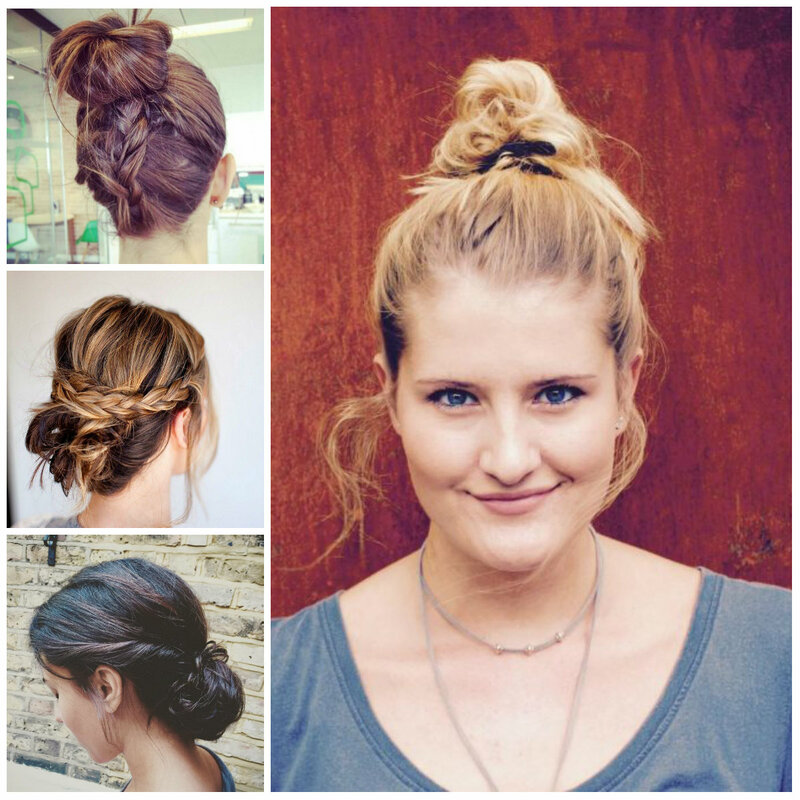 This is one of the coolest messy bun looks that is worth to pull off. The hair has been effortlessly swept back and twisted into a loose bun that sits low at the nape of the neck. 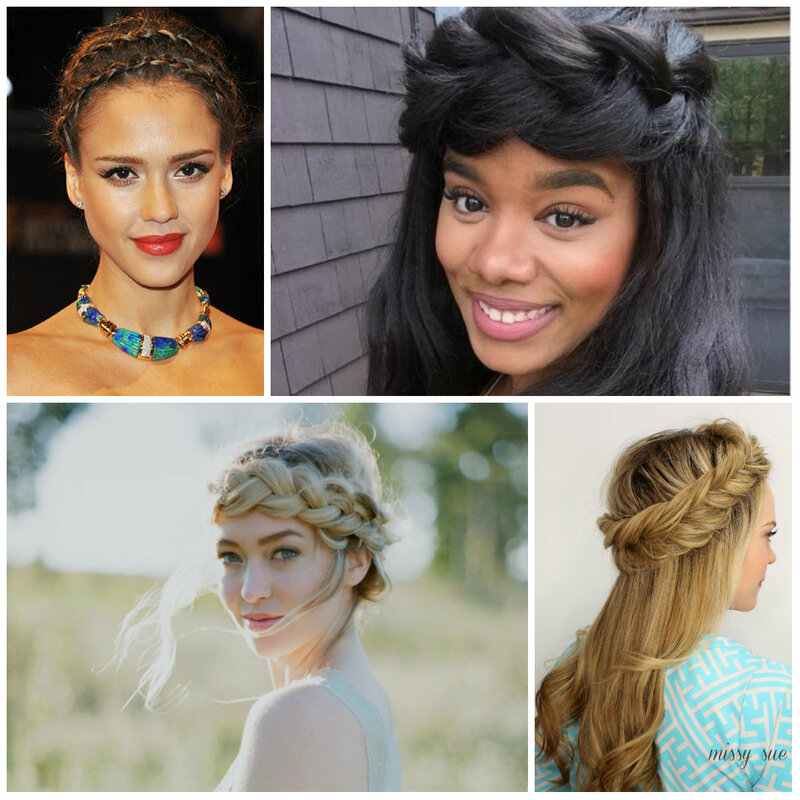 The front strands are braided to create an amazing crown. If you want to make this look even more flattering opt for side fringes. The strands also have a gorgeous dark brown color and blonde highlights. It is an excellent option for women with medium to long hair. Rihanna’s brunette lob is super chic. It is a low maintenance look that is also pretty classy and elegant. You don’t have to do anything special to re-create a sophisticate style like this. Just draw a simple center part and your face framing lob is ready to impress your friends and relatives. Before wearing it, make sure that this cut will bring out only the best of your facial features. This option is great for females with thin hair and medium-length strands. Well, the halo braid is barely visible but it looks so cool on lilac medium-length hair. It creates and illusion of headband. 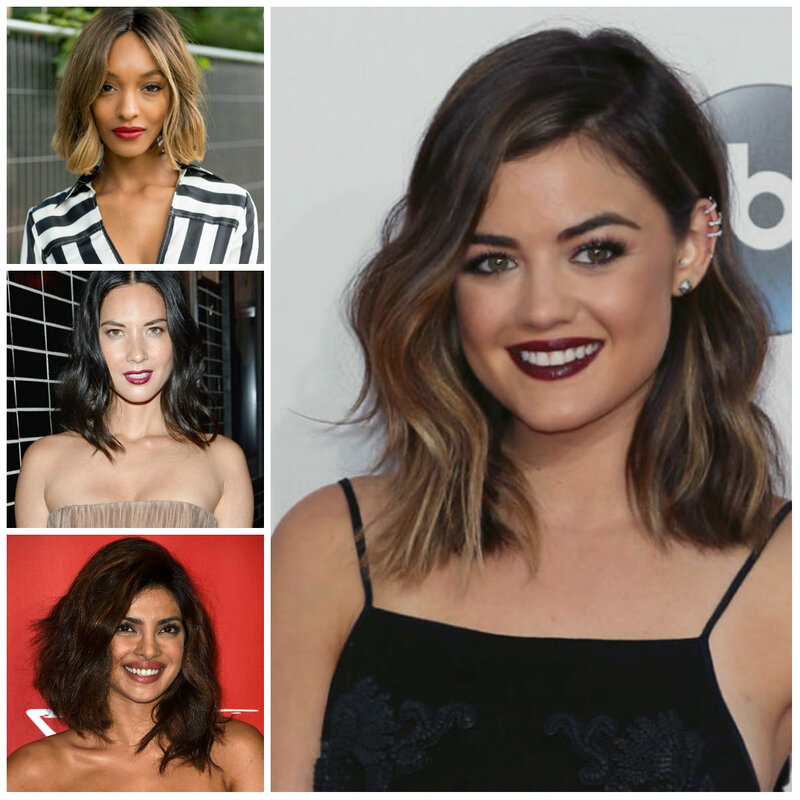 Side swept long bangs make important part of the style since they beautifully frame the face. 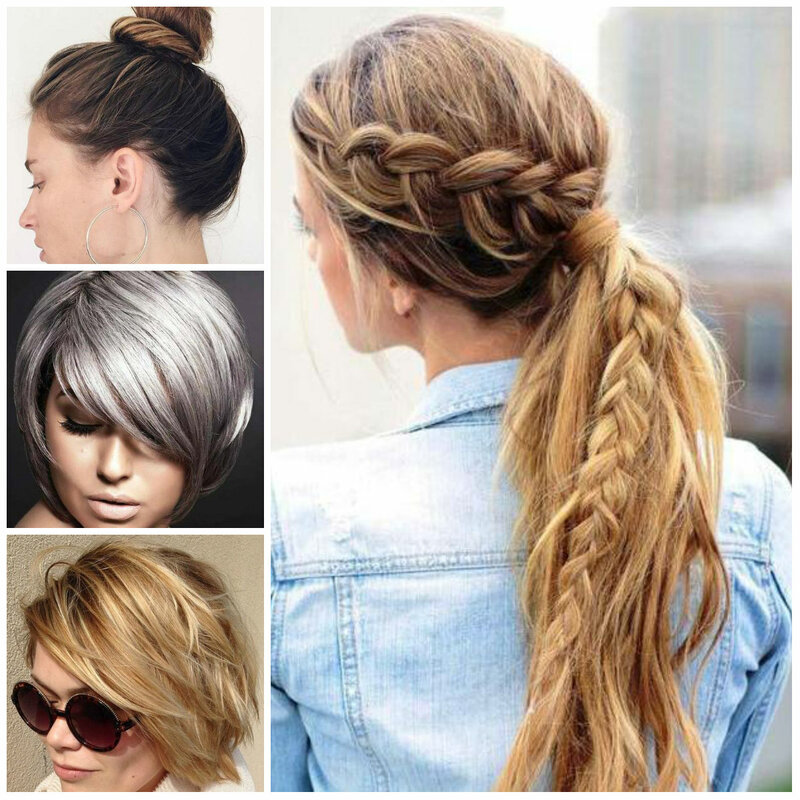 Give the tips of the hair some waviness and don’t try to overdo it because modern hairstyles are in mainstream. Side part and center part hairstyles are back. However in some runway shows the models have been spotted with a side part paired with a ponytail. In Lavin and Louis Vuitton the side parted strands have been combined with flowing long locks and just a touch of hair gel at the crown to keep the things neat and clean. You are free to choose the way you want to rock a side part. This is a gorgeous hairstyle for women with long and thick hair. 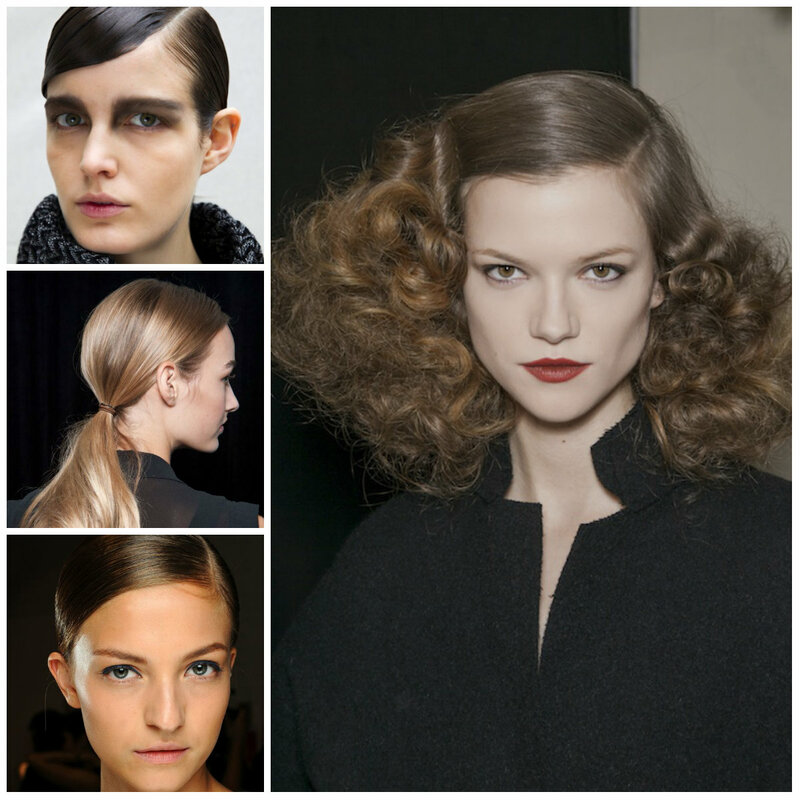 It entails curling the strands and pinning them up to create an ultra-feminine half up half down style. 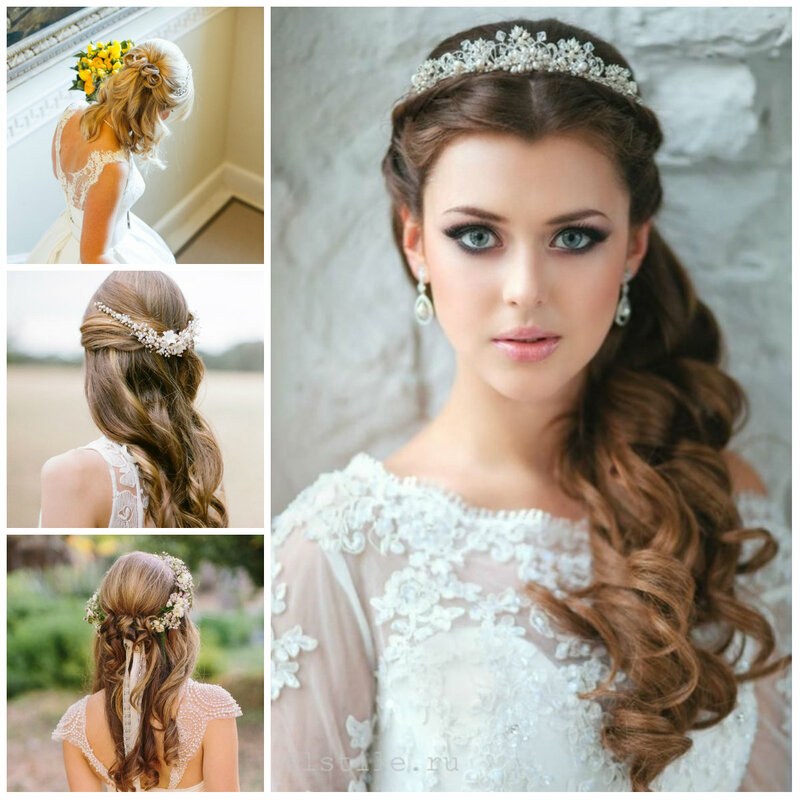 The touchable curls and fancy tiara make a unique bridal half up half down hairstyle to provide you with the most positive feelings on your big day. 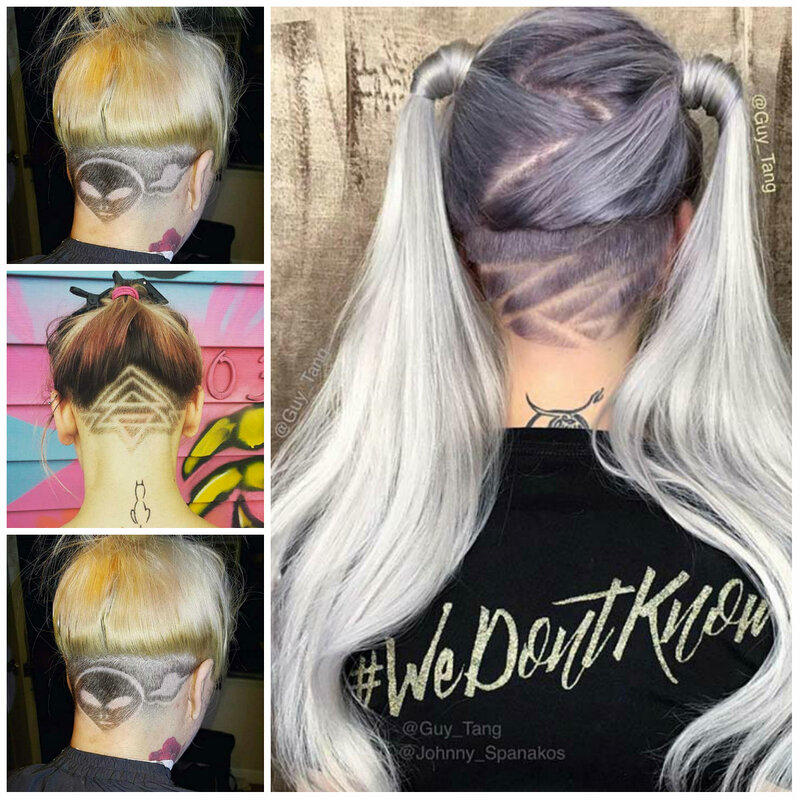 It is the latest modern version of bob haircut. Chunky layers and blunt cut create an ethereal appearance. Well, to re-plicate this style you will need to opt for ashy tone of the blonde and brown balayage highlights. 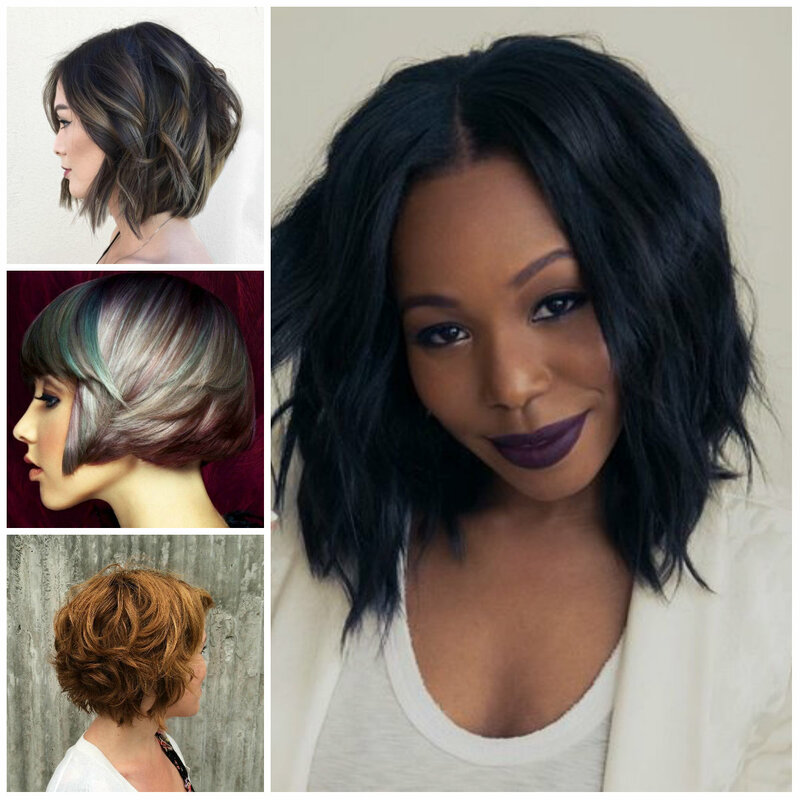 It is the best option for dark-haired ladies. The hair has been styled in waves to bring out the beauty of highlights. Everything about this style is fantastic.